This lovely first floor apartment has been recently renovated in a contemporary style, decorated in a bright contemporary style and approached via a drive leading to ample parking. Located in the leafy outskirts of the town of Ryde and only a 5 minute taxi ride from the Esplanade, it makes an ideal choice for those wishing to travel without a car. For motorists there is ample off-road private parking for 3 cars. Yew Tree apartment One is ideal for families, couples or larger groups holidaying together as the ground floor apartment together with the neighbouring detached 3 bedroom home in total can accommodate up to 14 guests. For those with a desire for sportier pursuits and just a short walk from the cottage along the same road is Ryde Lawn Tennis & Croquet Club. A short drive is the the Victorian town of Ryde which features one of the longest stretches of sandy beach on the Island, from Ryde to Appley and on to Puckpool where you will find a delightful park and Tea Gardens with beach access. From there you can stroll along the wide promenade through to Ryde or dine &lsquo;al-fresco' at the beachside caf&eacute;, The Dell or Three Buoy Restaurant by Appley beach. Here you can watch boating activities in the Solent from your balcony table. This popular resort town offers a range of holiday facilities, catering for all interests and ages. Seaside attractions include a long sandy beach, mini fun-fair, bowling alley, ice rink and much more, all spanning Ryde seafront. The Esplanade has a tidal harbour where children can enjoy crabbing and watching harbour activities. There is also a boating lake where you can hire pedalos in the Summer months. The bustling town centre offers a variety of shops, bars, pubs, restaurants and cafes. There is a large Tesco's supermarket on the outskirts of the town for provisions, a decent sized Co-Op and a Sainsbury's Local in the town for convenience. Just a few minutes walk away from there is a small convenience store for essential items. Wight Karting, an exciting Go-Kart track providing fun for the whole family is adjacent to Tesco, and close by you'll find Westridge Golf Centre which offers a &ldquo; Pay as you Play&rdquo; golf course, a fully covered floodlit golf range and qualified professionals on hand. The Island's small railway will take you through Brading to the other popular seaside resorts of Sandown & Shanklin. There are also good bus links from Ryde Esplanade to explore various parts of the Island. Ryde is a perfect choice for those travelling without a car. 2018 HELD AT 2017 PRICES Sleeps 4 in 2 bedrooms This lovely first floor apartment has been newly renovated in a contemporary style. Located in the town of Ryde and only a 5 minute taxi ride from the Esplanade, it makes an ideal choice for those wishing to travel without a car. 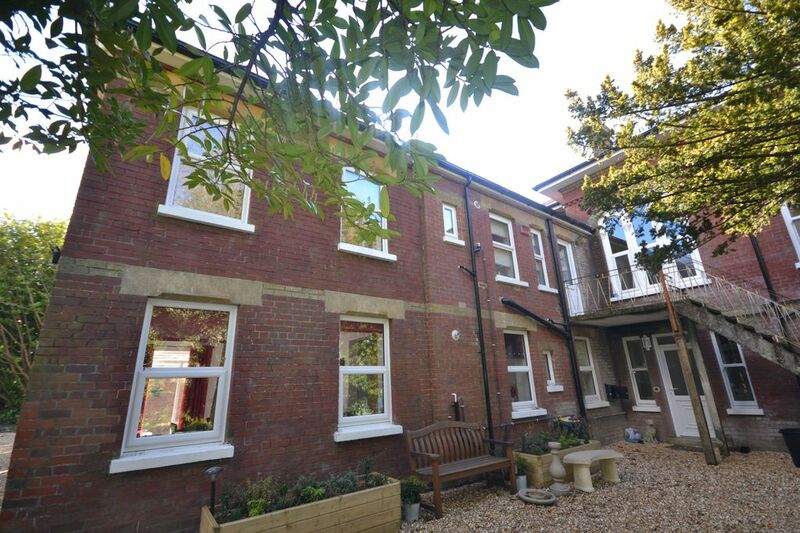 It is only a 20/30 minutes walk to the beach and 15 minutes to Ryde town centre. For motorists there is ample off-road private parking. It's ideal for couples and small families or if you are travelling with friends you can always book Apartment Two, located just below and you can enjoy a fabulous break together. On the approach to the apartment you will pass the Ryde Lawn Tennis & Croquet Club and further along the lane is access to bridle & footpaths. This is our second visit to Yew Tree Apartment One this year and it was just as fantastic as the first. The apartment was warm, excellently furnished and contained everything that we needed. As always, Shirley and Ian (the on-site owners) were friendly and helpful. We’re looking forward to next year’s visit. We have just come home from our third stay at Yew Tree Apartment One and cannot recommend it highly enough. The flat had everything that we needed; it is really clean, very comfortable, the extensive grounds are wonderful and the friendly owners are on site should you need anything. The East of the Isle of Wight incorporates some of the most stunning beaches the Island has to offer. There are pretty villages with butchers, bakers and deli's selling delicious locally produced fayre. The beach stretches from Ryde right around the coast to Shanklin and inland offers some of the most beautiful countryside. Appley Beach, with its six miles of beautiful sandy beach and wonderful play area for children situated within the woodland behind and a 9 hole golf course. Beyond Appley Tower to the East, dogs are permitted and there are two good beach restaurants either end of the beach. Arreton has a feast of attractions including The Barns and Craft Village, Arreton Manor and Amazon World. Nearby is the popular Robin Hill Adventure Park with exciting rides and a 400m toboggan run. This is a really fun day out for all the family. Nearer the coast is the Bembridge Windmill and the Seaview Wildlife Encounter. The steam railway offers rides on the steam engines and puff their way through the pretty countryside. Hiring bikes is easy and the Island is a place of destination for keen bikers and family enthusiasts. There are also a few riding stables to choose from around the island from where you can either hack through country side or along beaches. Photographers and walkers won't be disappointed and historians are also indulged with our castles and roman villas. Sailing, fishing and wonderful places to walk dogs and fly kites, there's something for everyone. During very low tides, you will see a ribbon of people walking the famous Fort Walk from the village of Bembridge to the Fort out in the Solent. There are coastal walks along the beaches which can be enjoyed as well as bridle paths along the downs taking in the breathtaking views of the patchwork countryside and out to sea. Beaches around this part of the island change as you venture along the coast. Ryde itself enjoys 6 miles of stunning sandy beach where cricket games are played on the sand banks during very low tides. Further round the coast there are pebbled beaches, sandy beaches, great beach restaurants and pretty marinas, all this part of the coast is well worth investigating. There are some great pubs, beach bars and restaurants in this area of the Island. Bembridge has the Pilot Boat, close to the sea serving excellent food with a great atmosphere, on the Duver at St Helens there is Baywatch, a beach restaurant serving good food by the sea. The trendy bars and restaurants are found mostly in Ryde, but all over the Island is enjoying serving up the local produce.